In commemoration of the International Day of Forests on Monday, 21 March, the WWF Global Forest Programme will launch a new platform to promote dialogue and share knowledge on solutions needed to safeguard forests. This platform is an extension of the mini-campaign we did at World Forestry Congress in September, 2015, and is designed to create a space for dialogue, learning and sharing different viewpoints so that we can co-create solutions together. The Forest Solutions platform is live though it will officially launch on March 21. Please help spread the word about this platform to your Network and encourage them to participate (an announcement template is available here). The Global Forest Programme will use this platform to create new alliances and synergies and to leverage opportunities to collaborate with existing as well as new partners. A forum feature will be added in the coming months to expand collaboration and create a community of conservationists, foresters, academics, policymakers, companies, entrepreneurs and other professionals. If you’re interested in participating in the forum, please contact Huma (Huma.Khan@wwfus.org). On March 21, we will also launch a #pledgeforforests campaign targeted to the general public, to raise awareness of forest-related issues and what changes people can make in their every day lives to protect them. You can find all the messages and memes for that campaign here and details on the web site. Take the pledge on social media and help spread the word! 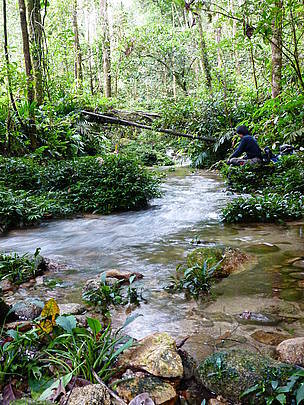 A joint blog from Rod Taylor and Lifeng Li will be posted on Ecological (hyperlink ecological.panda.org) on Monday, looking at the connection between forests and water (in celebration of International Day of Forests on 21 March and World Water Day on 22 March).